In high school I was a chameleon. I would mold into whatever I felt would make me more interesting and likeable. I had no passion , goals or dreams. I went with the flow . . . until I discovered theatre. I took theatre just because I thought it would be fun and easy. It was fun and easy; again I went with the flow, never giving it my all or trying very hard . A circumstance happened that would change my life and path forever. The class was putting on a production of “Vanities”; one of the leads in the 3 person play was unable to perform. The play opened in less than a week and I was asked to step in and perform. I was told by my teacher I could do it; she had faith in me. She worked with me right up until opening night . She believed in me like no one ever had. She told me I had talent. I actually believe her. I stood on the stage opening night, listening to the applause and had a feeling like no other . My teacher told me I needed to keep going with this. I was different. Again, I believed her. I had all intentions of going to a NY state school, playing a sport I had been given a scholarship for and majoring in ummmmmm “NO CLUE”. I decided just for the heck of it I would audition for a theatre school . This amazing teacher helped me pick out monologues, work on the monologues, pick a song and gave me the self confidence to go and audition for a top theatre school. Every student auditioning was from performing arts high schools. Every student had a resume that had numerous productions. I had 1 show and no training but I had a little voice that said, ” I was different.” I got in and graduated with my BFA in Theatre arts from The University Of The Arts in Philadelphia. I am a 42 year old woman today that is not currently participating in the theatre; however my experience with the arts has changed me, gave me a self confidence, a voice, an identity and made me into the best version of me . I know I will participate again one day in theatre . I know this because a wise teacher told me ” I was different and I could do anything I put my mind to.” This amazing woman, teacher, was Frances McGarry. 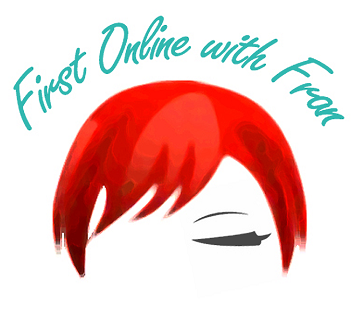 « First Online With Fran Episode 5: Best Writing Advice!